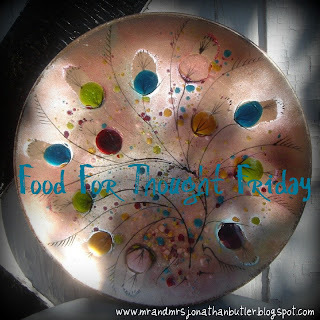 Butler, Party of 4: Food For Thought Friday: Christian or Disciple?? I shared this with our youth a couple weeks ago and I thought it was so interesting and powerful, so I wanted to share with my blog buddies too. • Professing belief in Jesus as Christ or following the religion based on the life and teachings of Jesus. • Relating to or derived from Jesus or Jesus's teachings. • Manifesting the qualities or spirit of Jesus; Christlike. • Relating to or characteristic of Christianity or its adherents. • Showing a loving concern for others; humane. So, what’s the point of these numbers (Christian- 3 times vs. disciple- 259 times) and definitions?? I believe the Lord is trying to reveal something to us here. There are LOTS of people who CLAIM to be a Christian. They talk the talk but don’t walk the walk. They wear the t-shirt, wrist band, and have the sticker on their car… maybe they post Scipture as their FB status or attend church weekly. However, their thoughts, actions, attitude, speech, dress, prayer life, and willingness to truly be a SERVANT and spread the Gospel do not reflect their claim to be a “Christian.” (And I’m talking to myself here….) This world has way too many “Christians” and the term almost has a negative connotation in society now because of the choices we are making. God has called us to be DISCIPLES. Which are you- a Christian or a disciple? It’s time to step it up and start being true DISCIPLES for Christ. Just some food for thought for ya on this Friday. Have a blessed weekend! I am working on the Disciple team! I am so happy how God is working through me and on me. I love that you are a Disciple who leads people to the truth!